They released three singles as Fortes Mentum. 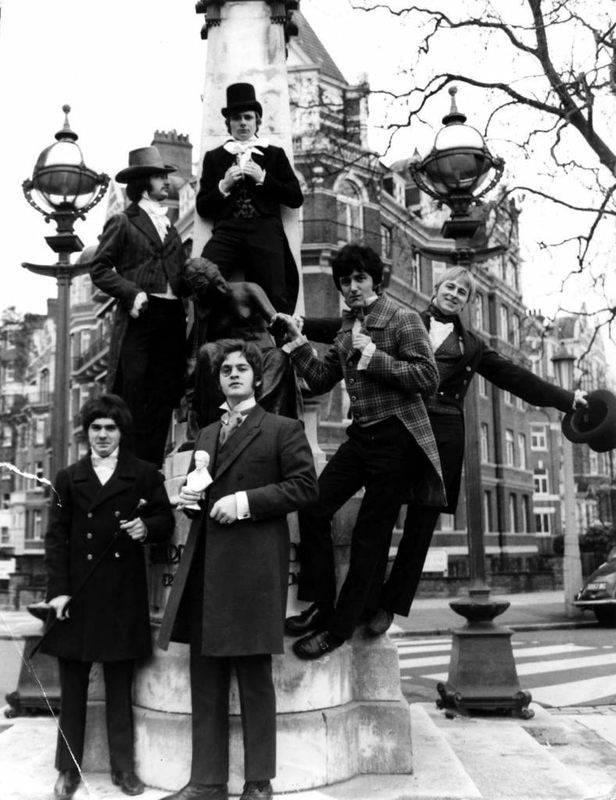 Despite a good following, the band never made any money although they performed all over London and the UK including such famous venues of the time like The Whisky A Go Go and the Starlight Ballroom in Crawley, as well as the usual college gigs and such. In March 1969 they were offered a unique opportunity to work in Germany. Unfortunately Alan and Barry had very good 'day jobs' and they didn't want to give them up. They were replaced by Rod Creasy on keyboards and Paul Coles on lead guitar. This line up worked the famous Top 10 Club in Hamburg and the K52 Club in Frankfurt. It was at the Starlight Ballroom later on that Frank and Danny had a falling out. Danny decided to pursue his career in songwriting and so left the band. The inimitable Bob Flag (ex-Riot Squad) joined on saxaphone and flute. 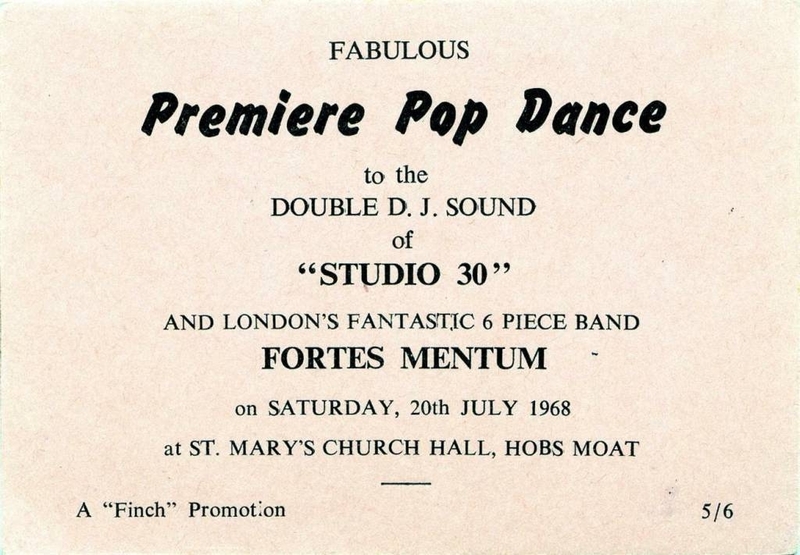 Fortes Mentum then toured with David Bowie amongst others but prestige doesn't pay the rent and the band disbanded around a year later due to lack of gigs, The band had known agents such as The London City Agency/Capital Artistes but earning a living was hard in those days. The scene went a bit dead, even though the band were getting terrific write ups. One four page write up in The TV Times resulted in Fortes being called The TV Times Group for a while. The article was written by a lovely man named Peter French (where is he now?, Does anybody know him?) 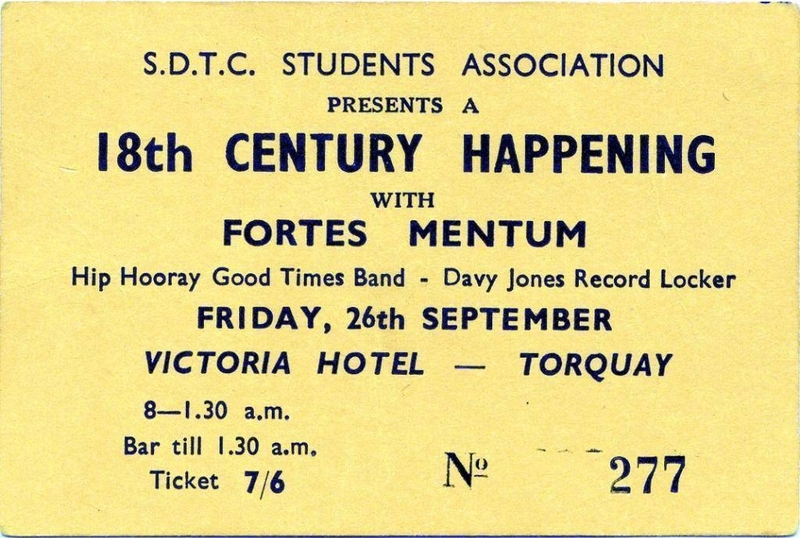 Fortes Mentum was finished in mid 1970. 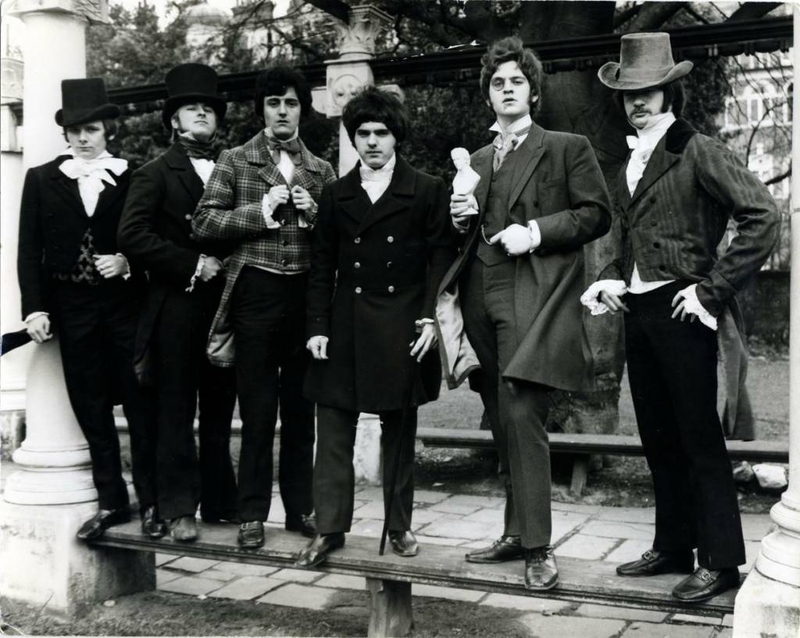 The boys went their own ways but now, forty years later are still very much a 'Band of Brothers' They are in contact regularly and are loving the revived interest in Fortes Mentum ! In 'Where Are They Now' I will put in names and places as they are remembered, if you can expand on anything or know where these people are now please join in with us. (I'm sorry - that sounds like I want you to join in on a seance! All together join hands....) We are looking for any donations of memorabilia that you would like to see on this site. I don't do this full time but I promise to get stuff on as soon as possible so keep watching the site! Bob Flag has just returned from Japan and has promised to try and find a copy he has of the Fortes Opera. 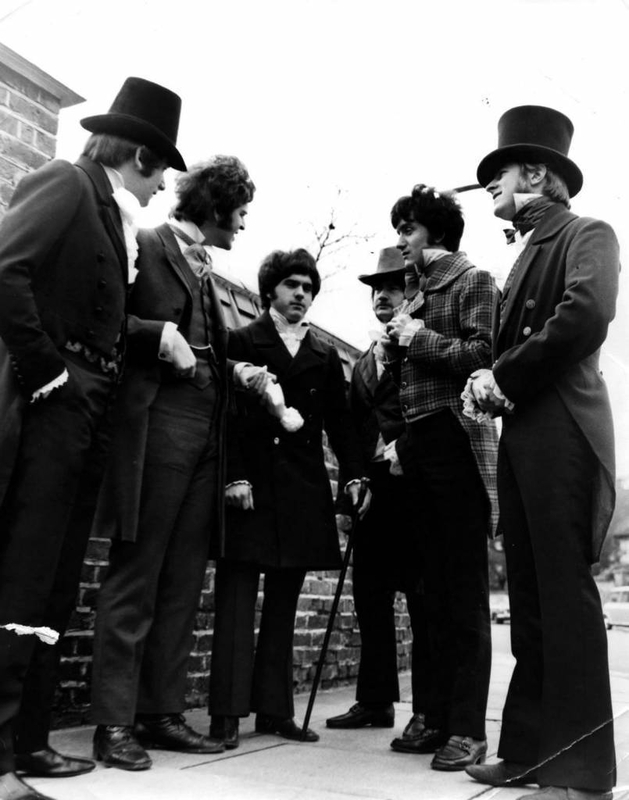 He wrote it for Fortes Mentum and it was recorded by them at Television Centre, Teddington in late 1969. It was never released so his copy will be very interesting. Don't forget to tell your friends about us, and last but not least keep an eye out for the singles (in any language - our grandchildren may even earn some money from them one day ! - their Grandads certainly didn't ! ) 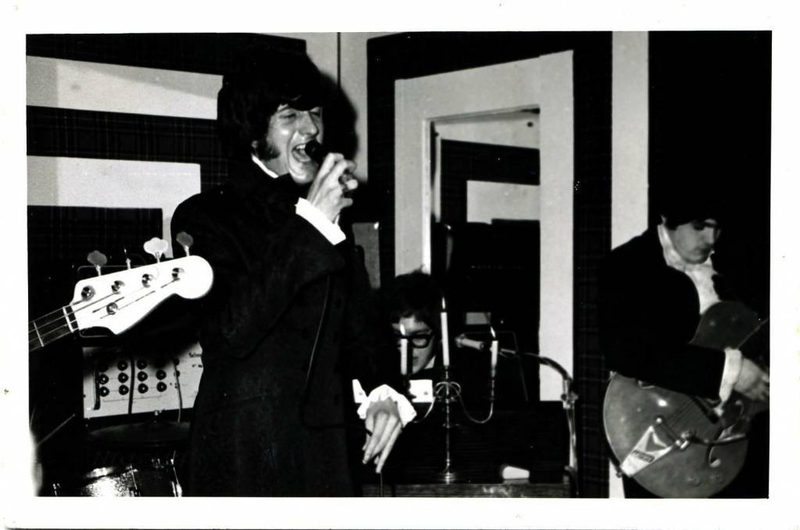 Here are some old rehearsal tapes from 1967 at an old pub in London's East End. They are from an old reel to reel so please don't expect quality!